Anders Rogg is an established Norwegian pianist, artist, musician, actor and composer, best known for his membership in the theatre/musical group Tramteatret. 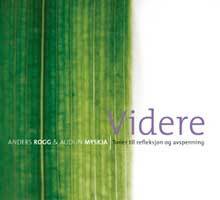 Audun Myskja is a medical practitioner who works in the area of musical healing. It all sounds a bit pretentious, but the music is rich and interesting, far from the sleepy yawns of most 'relaxation' music.